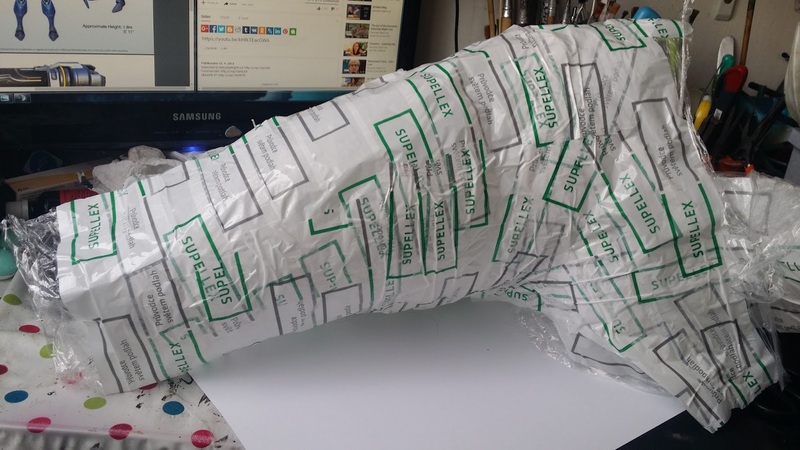 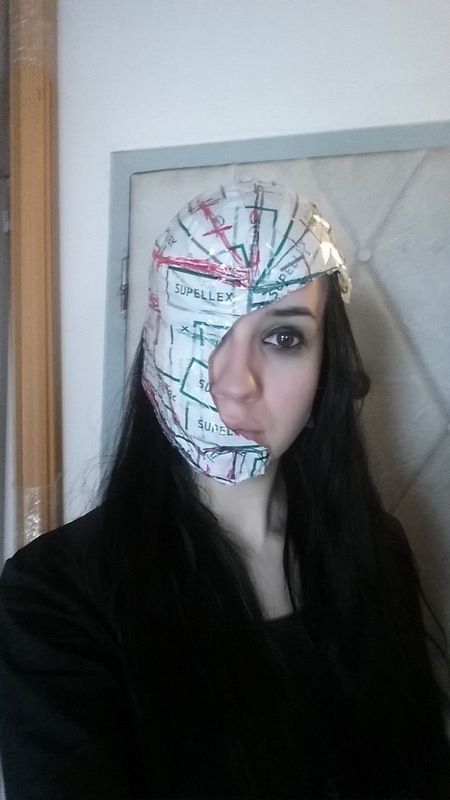 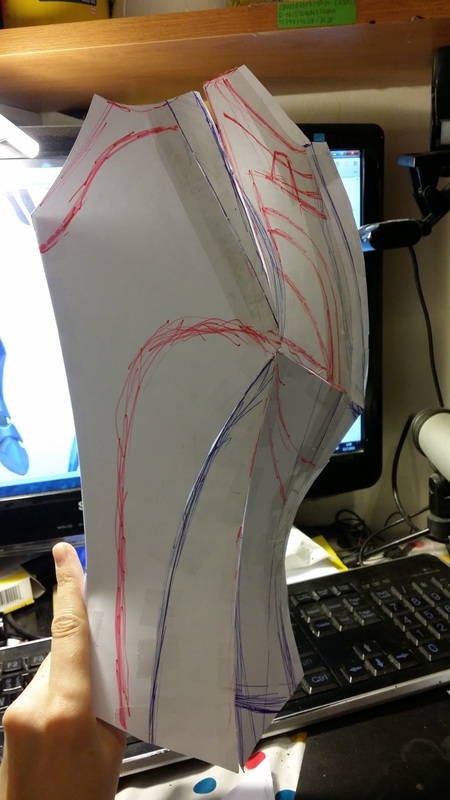 Making patterns for your cosplay armor is one of the most exhausting things by making a cosplay. 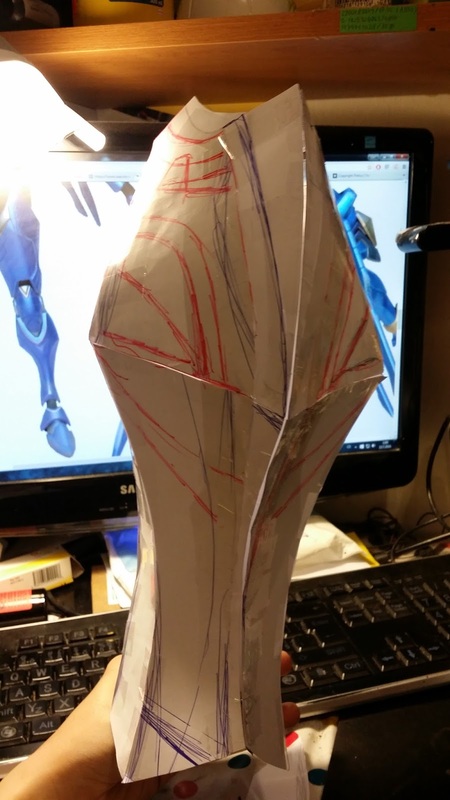 It's sometimes really hard to transfer game concepts and skins into real life and make the proportions just right. 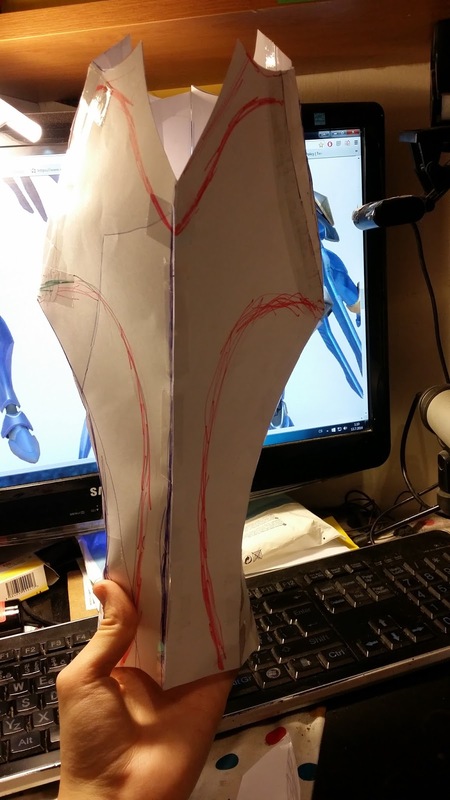 Especially if you're making cartoon-like characters like the heroes from Overwatch, where the proportions are exaggerated. 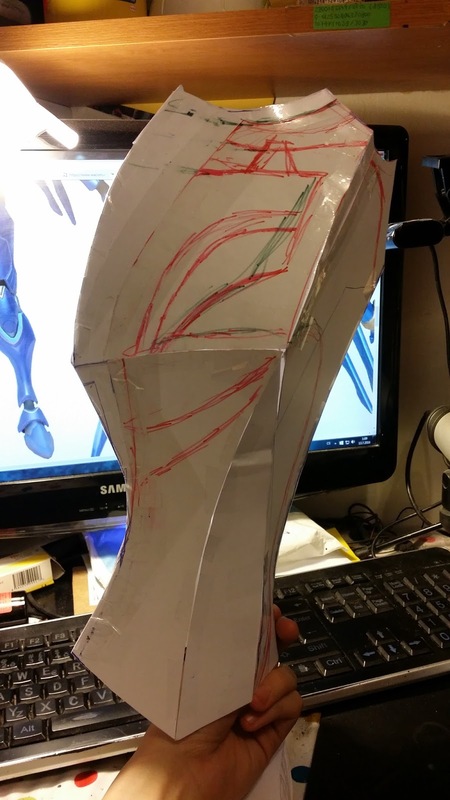 Just look on Pharah's tiny ankles and waist, Reinhardt's small head or Tracer's long legs. 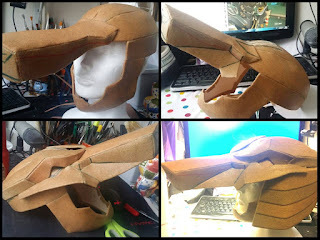 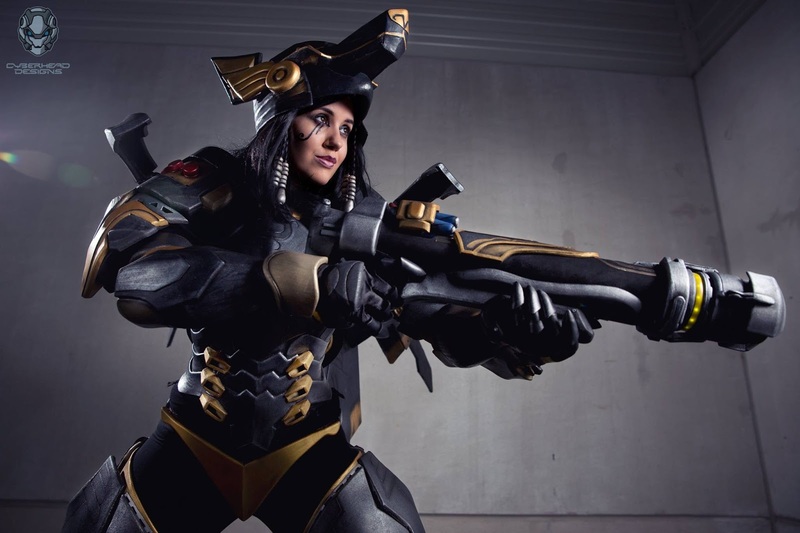 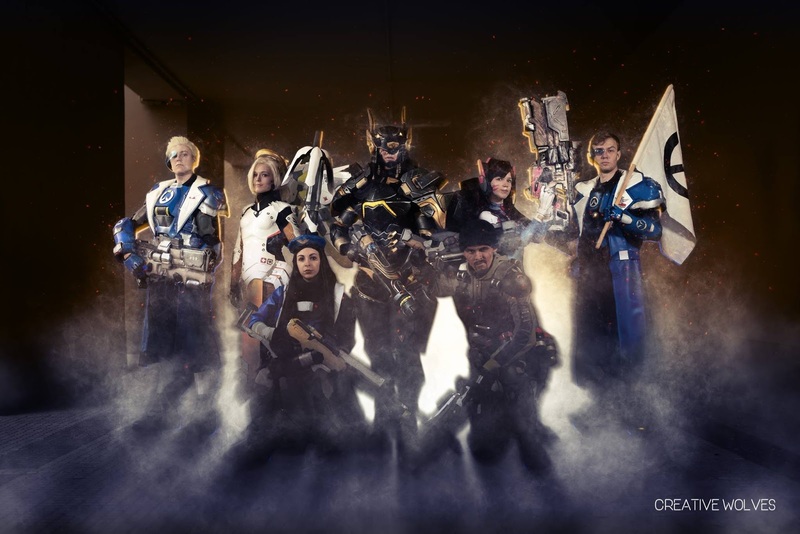 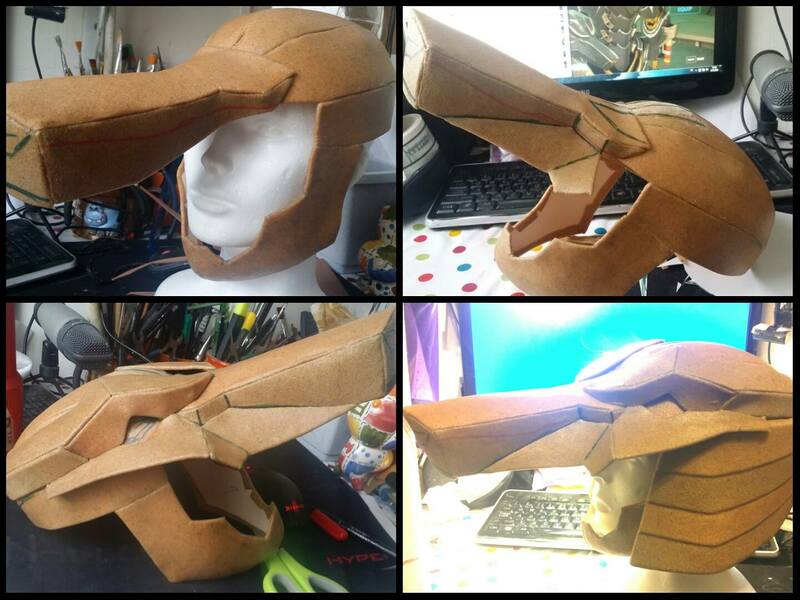 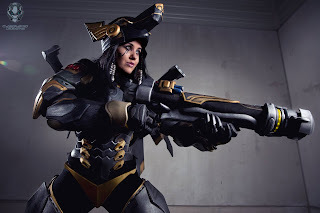 By making my Pharah cosplay I wanted to achieve one of the most trustworthy look - small waist, small joints (ankles, knees) and one of the ways how to achieve this is to exaggerate other proportions more, so my normal ankles would look tiny for example in comparison with big calf. 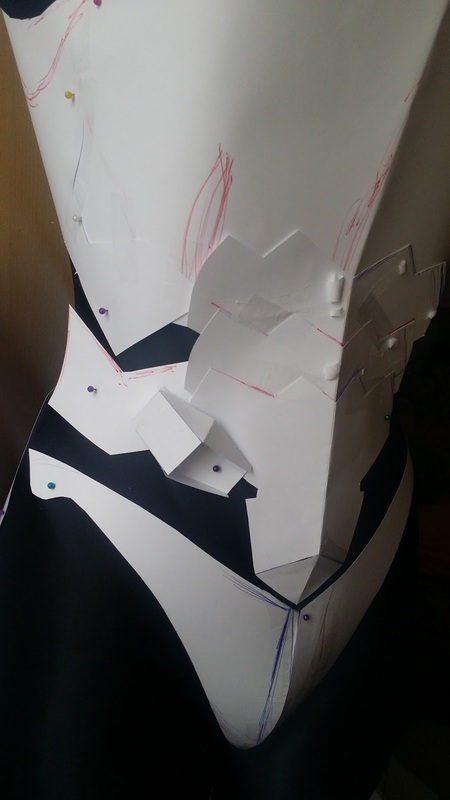 That's what I kept it in mind when doing the patterns and that's one of the reasons it took me so long. 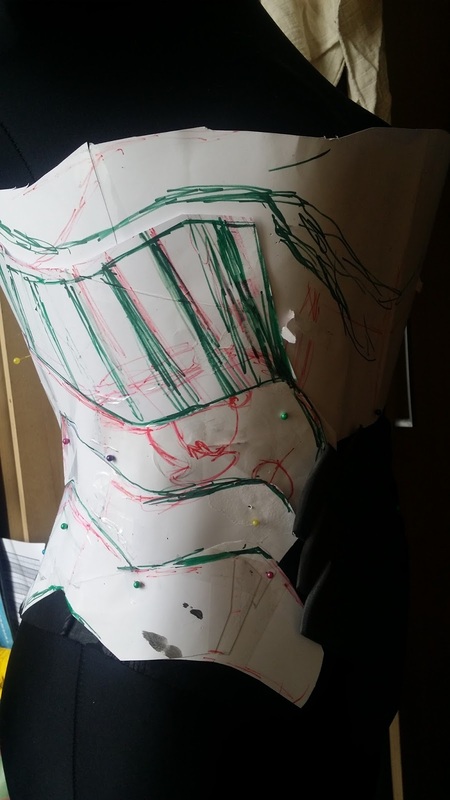 Second thing is the functionality of the armor - you have to be able to move freely, to suit up easily and simultaneosly be true to the game model. 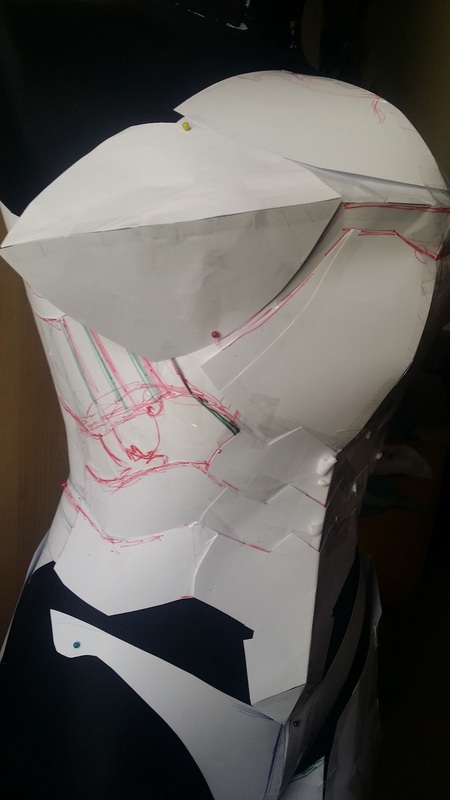 And I'm not mentioning, that some of the parts on my armor should move, but that's not something included in patterns, there's just enough space for me to fit the electronical and mechanical parts inside. 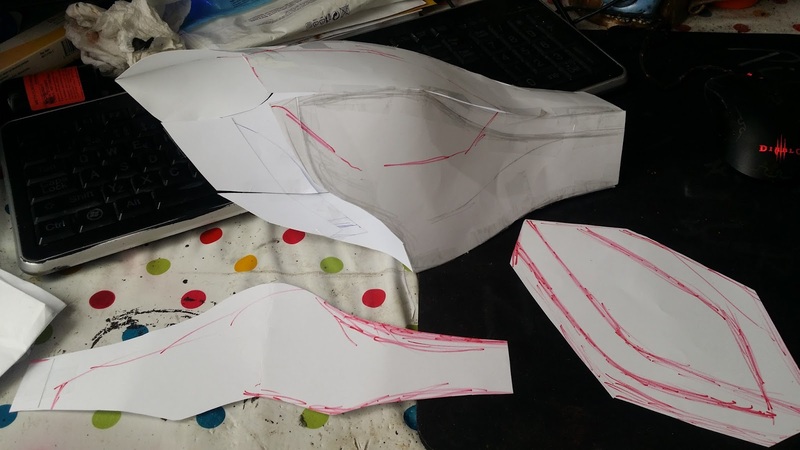 And as I spent so much time doing the patterns, I've decided to publish some of them (Unfortunately, I didn't save the patterns of my helmet, but as I'm doing Anubis skin, it doesn't matter - you're probably doing the default skin. 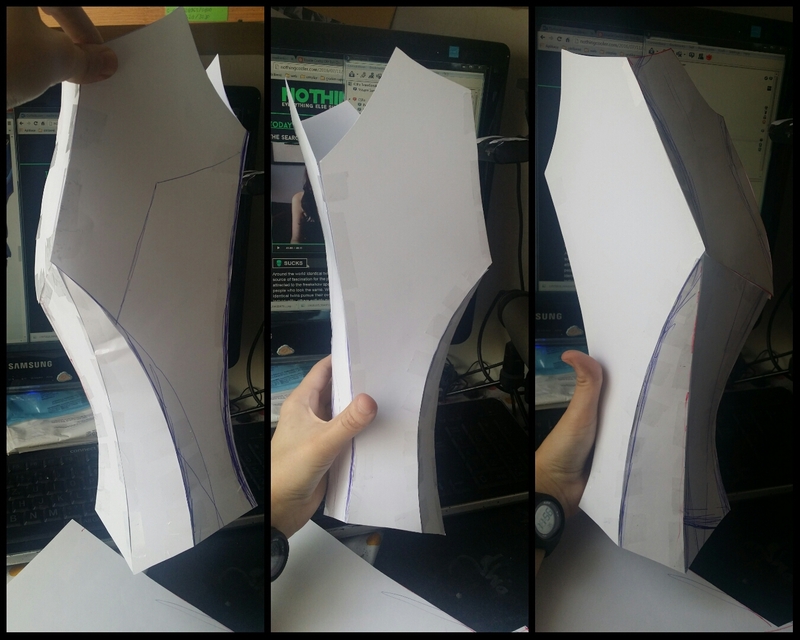 Patterns for my boots were the second to do and I didn't save them either, but I think they're quite easy to do...). 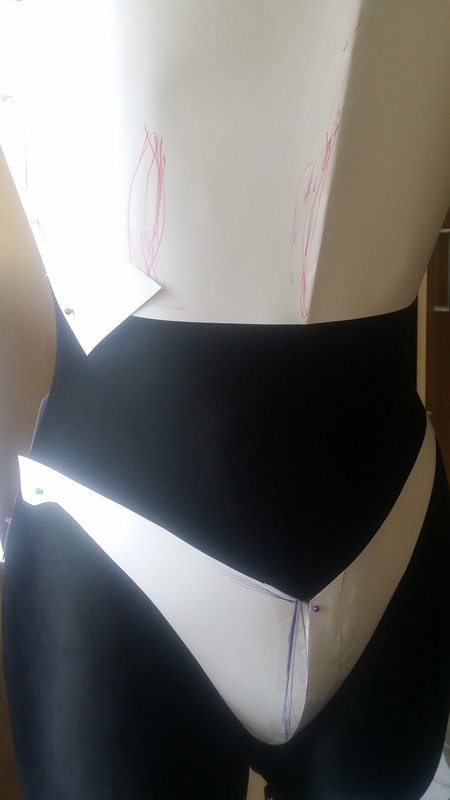 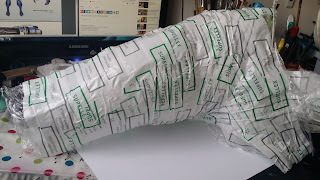 Keep in mind, that I made them to fit on my body (180 cm, ~ 67 Kg, curvy), so it fits only me and you have to edit the patterns slightly to fit on your body. 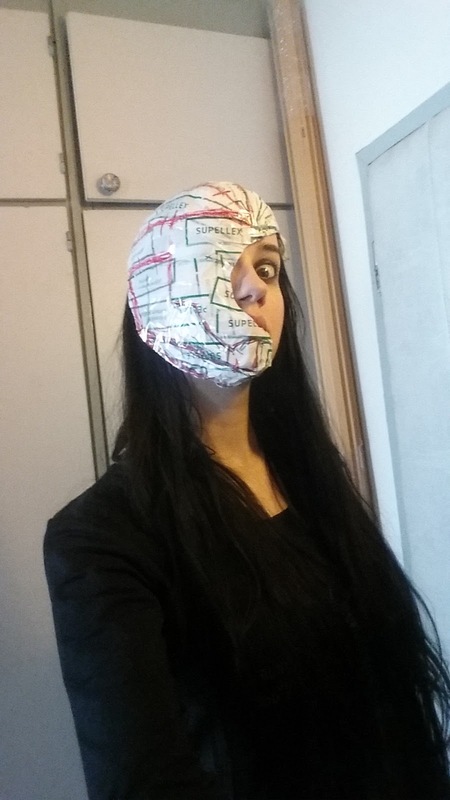 I recommend cutting them out and taping them together just to see how the fit to you. 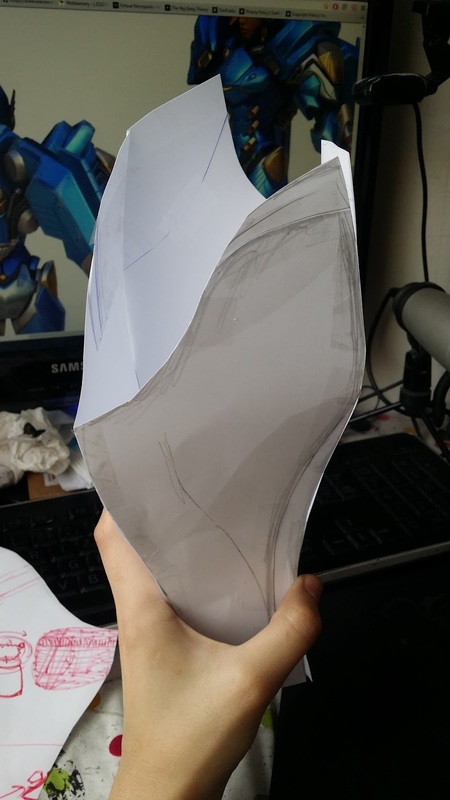 If your height is 180 cm, just adjust the character referrence (in this case Pharah) on your monitor to be 18cm high and count the measurements of all her armor pieces. 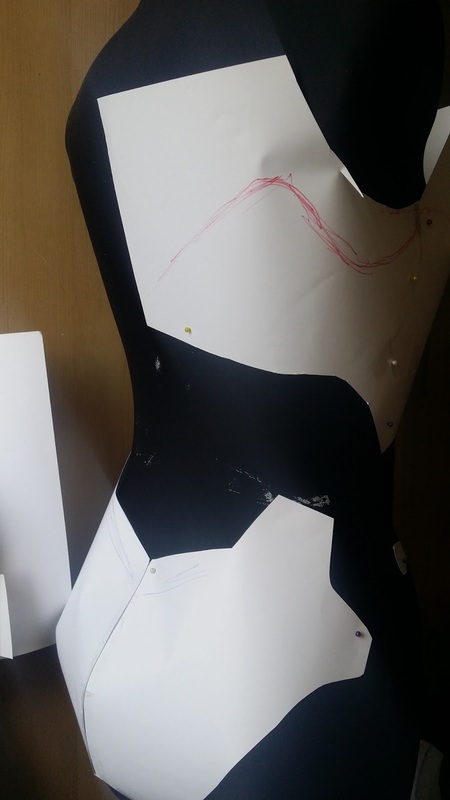 I decided to upload some patterns for you - All the pdf files with free patterns I uploaded so far for you are suitable for girls around 175-185 cm for the proportions to be just right, because I measure 180 cm. A sketch of the Anubis helmet from the up on A3 paper. 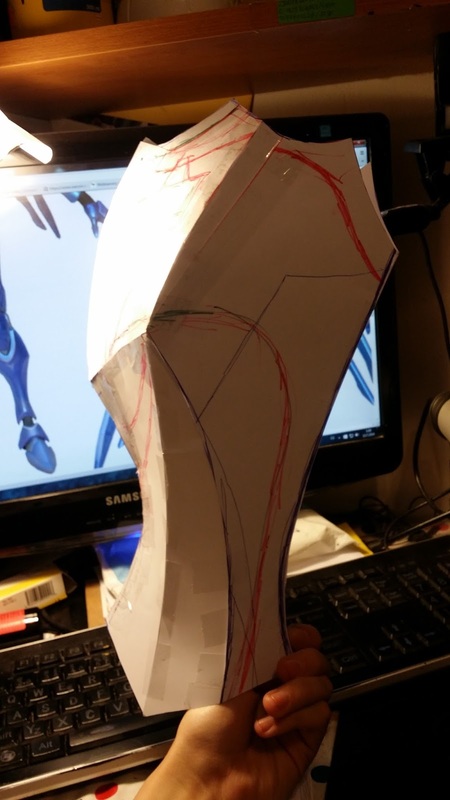 Pattern made from 10 different parts to be able to simulate the curvy shapes of Pharah's leg. 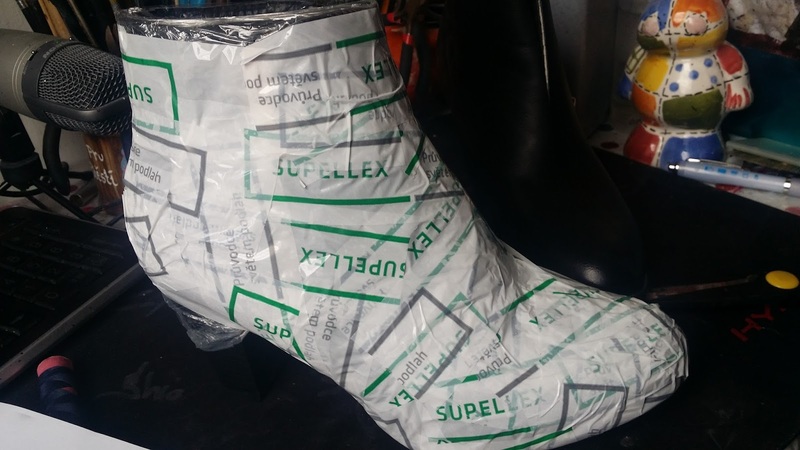 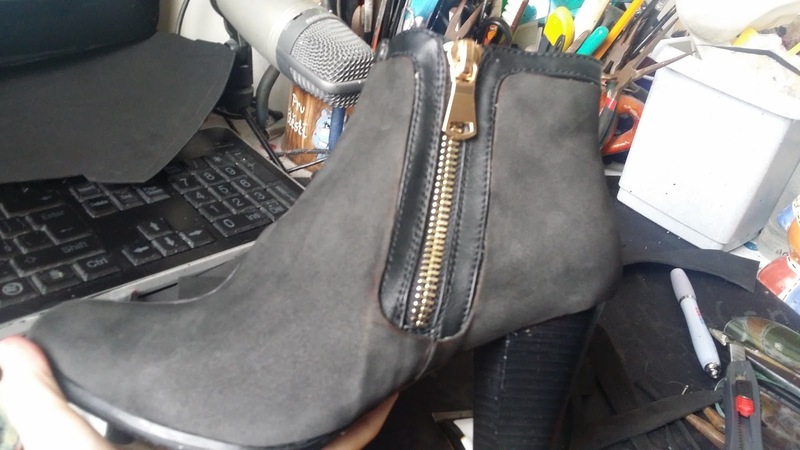 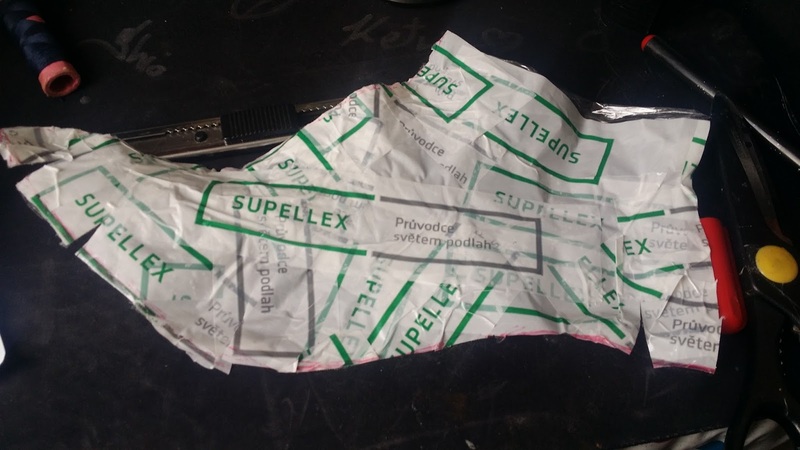 Inner filling parts, decorative parts and on the wrist decorative lining. 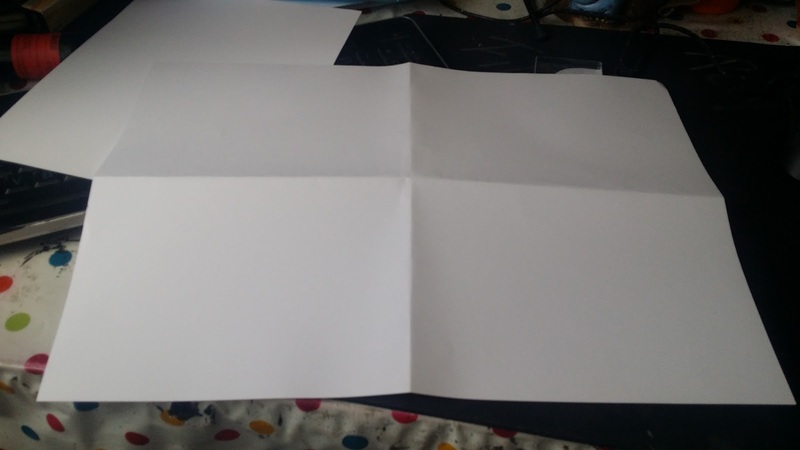 I covered upper part of my figourine in paper and marked the basic shapes on it. 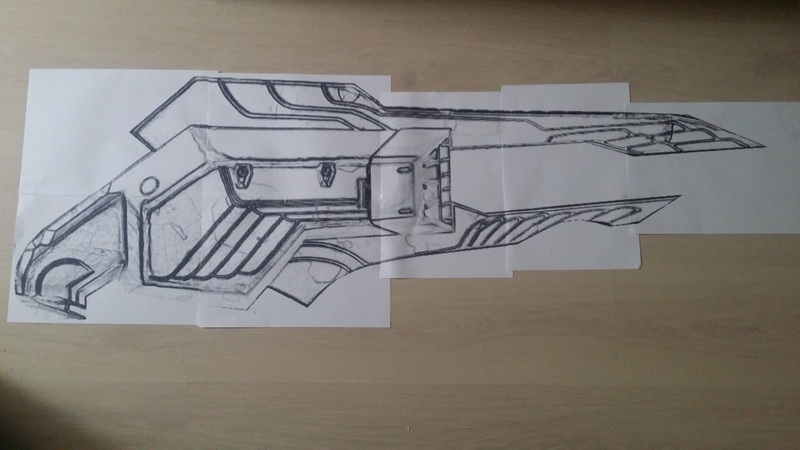 I slowly added more and more parts with pins and when I was satisfied with the result, I connected the pieces together and trasfered them on the foam. 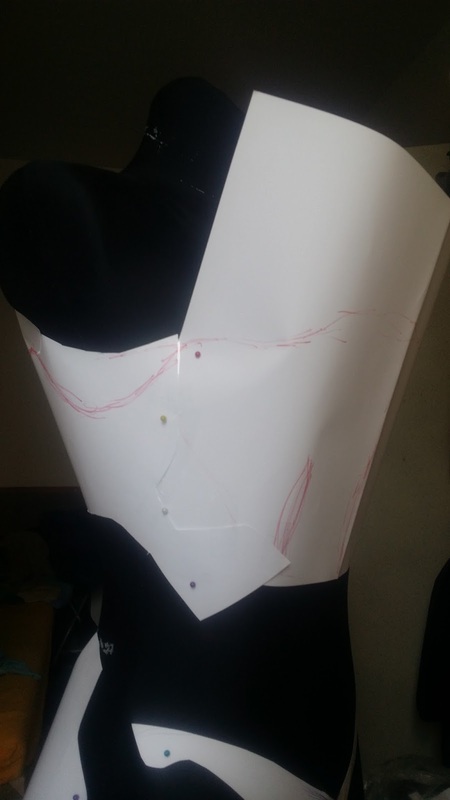 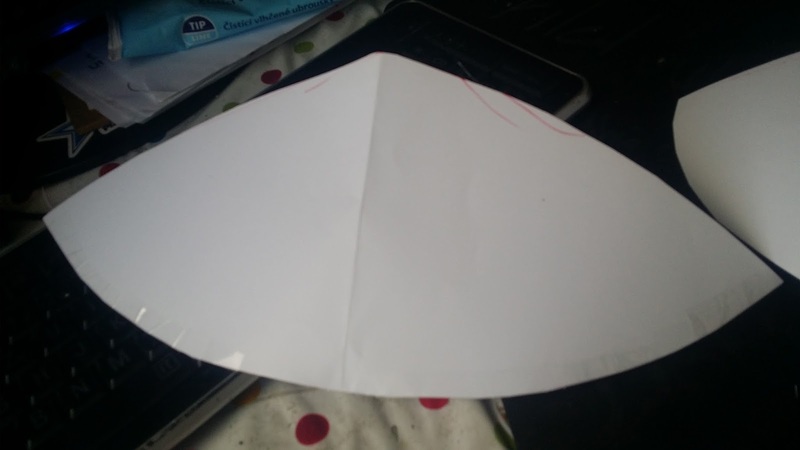 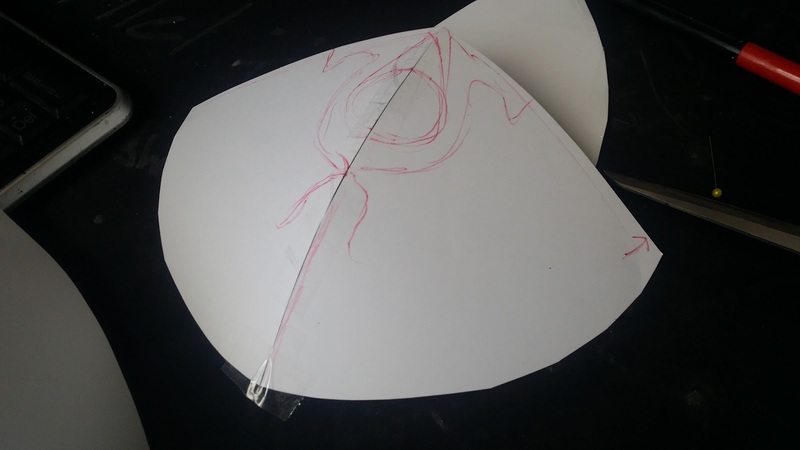 The breastplate base is symmetrical horizontally and vertically, so I started the pattern with paper divided in 4 parts. 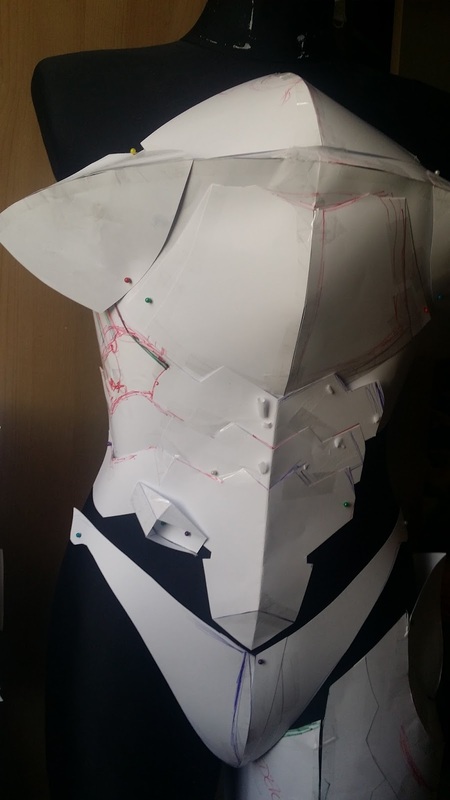 I started adding pieces and I always checked if the fit proportionally to the rest of the armor. 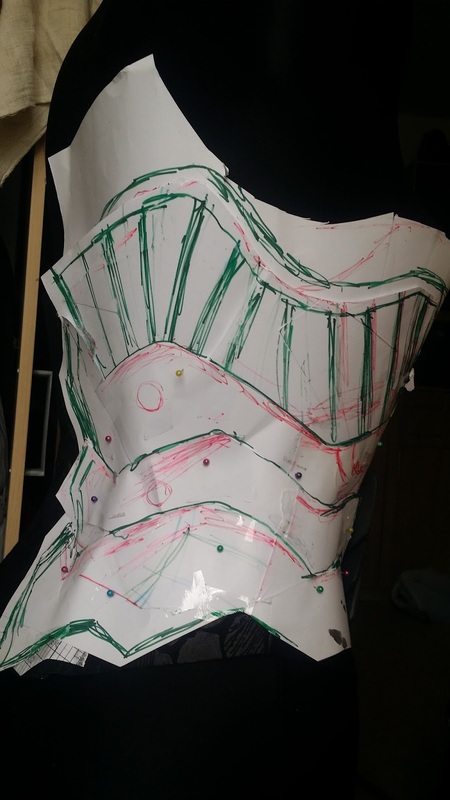 The finished corset pieces were then transfered to foam and moosgummi and glued to the sewn corset base. 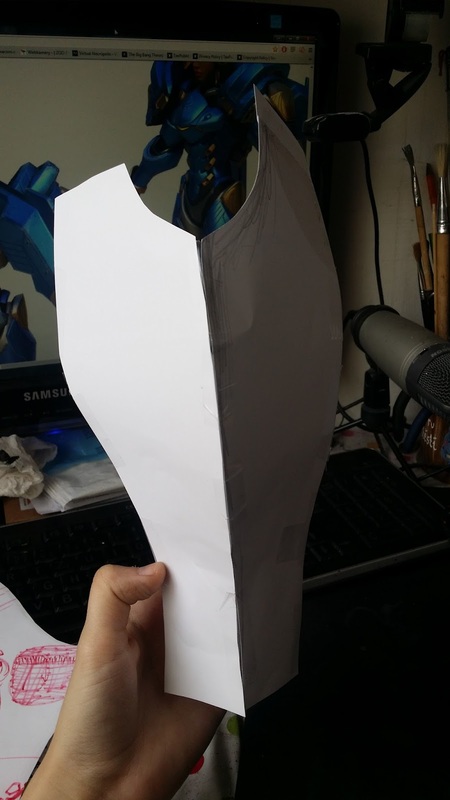 To trace my thigh and create a fitting armor, I traced my thigh with food foil and tape and since I filled the thigh armor with rockets, it served eventually mainly as a figourine part, that I tried my armor on rather than patterning tool. 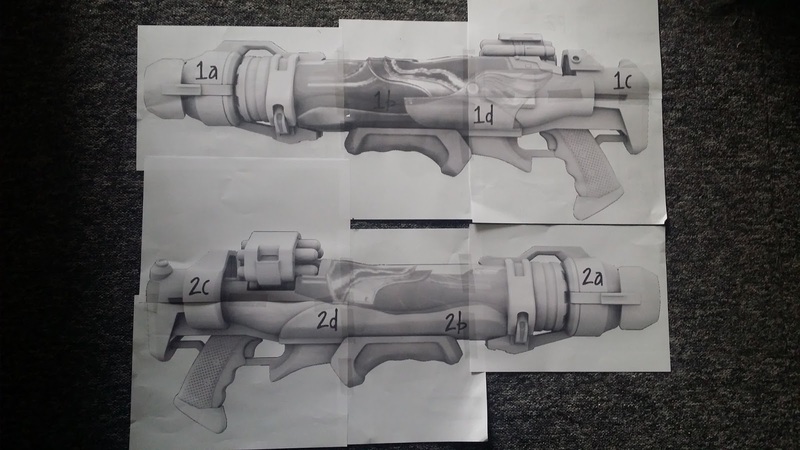 I've already written an elaborate article about wings and gun pattern HERE. 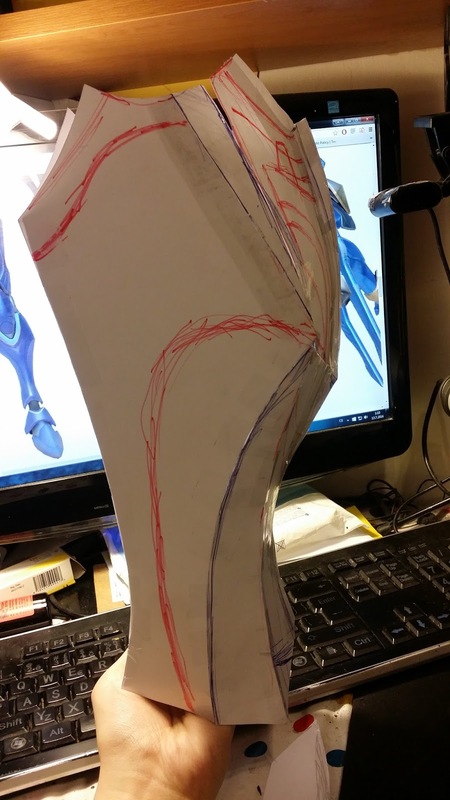 These are not drawn on paper or traced on my body. 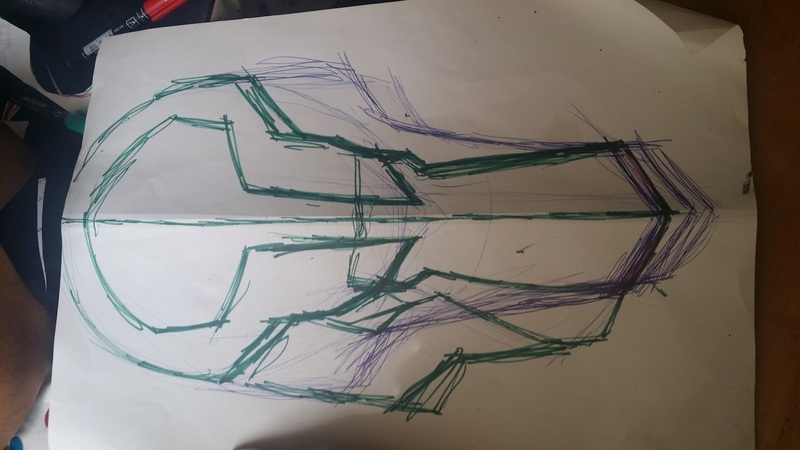 I traced those patterns in computer with the help of different graphic software in the right measurements, that correspond to my body. 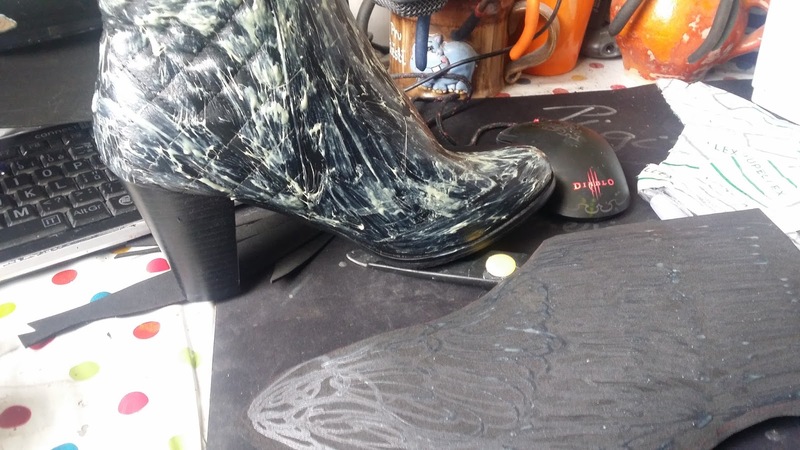 and you can read about my wings in ARTICLE HERE.